In today’s rumor rundown Nikita Kucherov extends in Tampa and that may have some connection to the rumors of Erik Karlsson being moved to the Lightning. There are rumors about Nick Bjugstad being traded out of Florida and his agent weighs in, Lou Lamoriello is hot about the NHL free agent interview process and there’s more on the delay that is Patrick Maroon signing in St. Louis. What Does Kucherov Extension Mean for Erik Karlsson? In the midst of trade rumors that the saw the Tampa Bay Lightning as frontrunners to land Erik Karlsson in trade, the Lightning dropped a news bomb on the rest of the NHL when they announced the extension of forward Nikita Kucherov, keeping him part of the team for another nine seasons. Some have wondered what this means in terms of Tampa’s interest in Karlsson but speculation is the Kucherov extension only provides more stability for Tampa to make a pitch and work out the salary cap implications of adding Karlsson to the roster. Chris Johnston of Sportsnet explains that this extension does not take Tampa out of the mix, in fact, it does the opposite. Extending Nikita Kucherov does not take #TBLightning out of the Erik Karlsson trade talks. Quite the opposite; it gives them more certainty about their future. Word is they continue to engage outside teams on a potential three-way deal with OTT. How GM Steve Yzerman juggles the salary cap for next season should he land Karlsson is still something NHL insiders will try to calculate as the rumors continue. Nick Bjugstad on the Move? 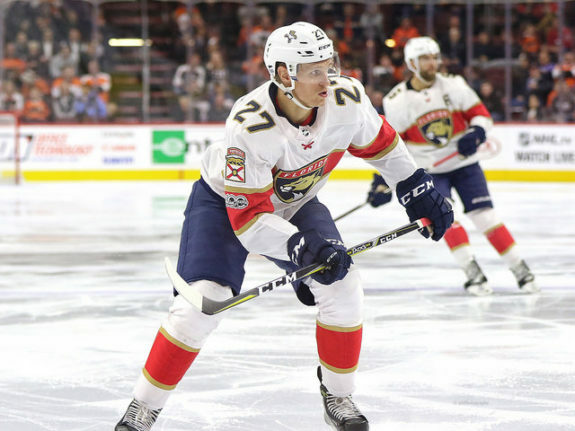 But, Florida is a team known to make swift and sudden changes and Hankinson believes that if the right deal were offered, Tallon would not only consider a move but that Bjugstad might be traded. He specifically mentioned Minnesota as a destination. “You know what? It could be the Wild. They have some guys that he’d probably like to tinker with, I’m sure,” he said. Typically, if an agent comes out and makes these sorts of comments about his client, it might be expected that he’s trying to subtly suggest the player would like a change of scenery without asking for a trade. There is no indication or information that this is what is happening here but it does feel like odd timing for comments of this nature. 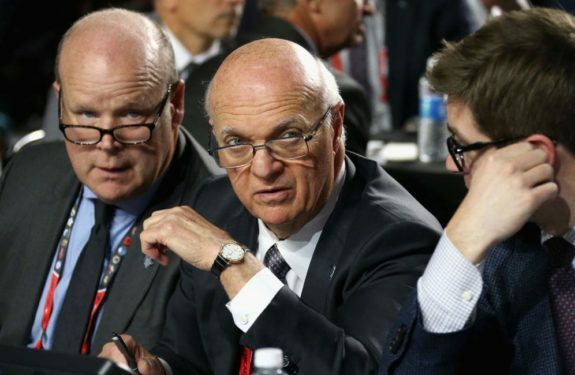 Andrew Gross of Newsday reports Islanders GM Lou Lamoriello was not pleased with the way the interview process went down as it pertained to John Tavares. It appears he believes that process had a hand in the Islanders losing their star center. While it was reported St. Louis was close to bringing back Patrick Maroon and the deal was expected to be a one-year contract worth $1.7 million, there have been some developments as to why the signing seems to be delayed. Agent Ben Hankinson said on Sunday that the Blues are still a “strong option” but there is also interest from other clubs, including the New Jersey Devils, Minnesota Wild, and Arizona Coyotes. Jim Thomas Of the St. Louis Post-Dispatch also reported Patrick Maroon recently switched agents from Allain Roy to Hankinson and that this may part of his delaying in signing with a team.